In today’s tutorial, we will build a simple Raspberry Pi 3 project. 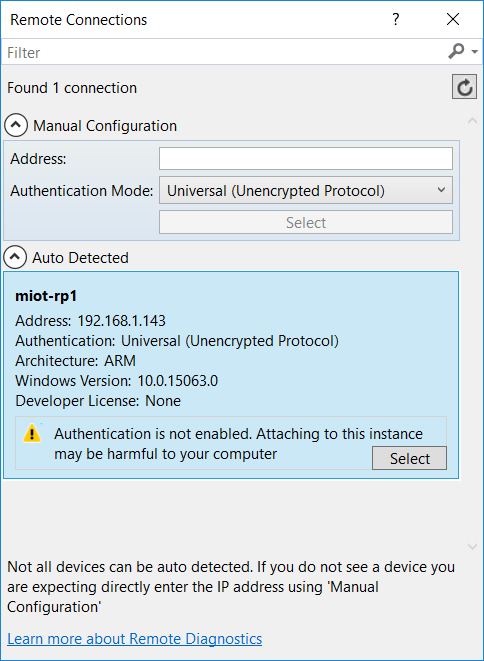 Since our Raspberry Pi now runs Windows 10 IoT Core, .NET Core applications will run on it, including Universal Windows Platform (UWP) applications. From a blank solution, let’s create our first Raspberry Pi application. Choose Add and New Project. 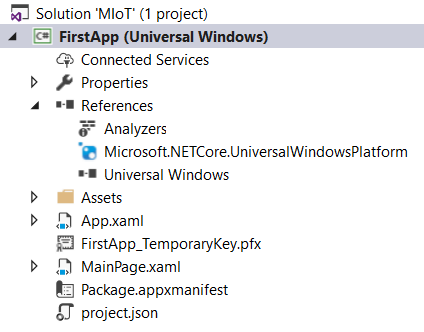 In the Visual C# category, select Blank App (Universal Windows). Let’s call our project FirstApp. Visual Studio will ask us for target and minimum platform versions. Check the screenshot and make sure the version you select is lower than the version installed on your Raspberry Pi. In our case, the Raspberry Pi runs Build 15063. This is the March 2017 release. So, we accept Build 14393 (July 2016) as the target version and Build 10586 (November 2015) as the minimum version. If you want to target the Windows 10 Fall Creators Update, which supports .NET Core 2, you should select Build 16299 for both. We execute our initialization method from the thread pool, instead of the standard thread. This is done by calling Task.Run(), defined in the System.Threading.Tasks namespace. The reason for this is that we want to avoid locking the standard thread. Later, there will be a lot of asynchronous calls made during initialization. To avoid problems, we should execute all these from the thread pool, instead of from the standard thread. this.arduino.pinMode(13, PinMode.OUTPUT);    // Onboard LED. this.arduino.pinMode(8, PinMode.INPUT);      // PIR sensor. Important: the analog input must be set to PinMode.ANALOG, not PinMode.INPUT. The latter is for digital pins. If used for analog pins, the Arduino board and Firmata firmware may become unpredictable. Make sure the Arduino is still connected to your PC via USB. 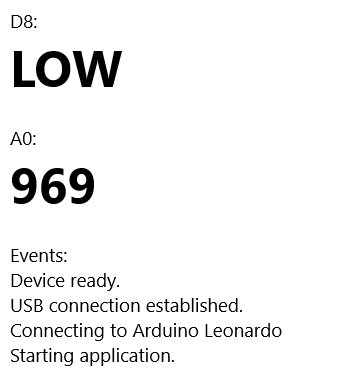 If you run the application now (by pressing F5), it will communicate with the Arduino, and display any values read to the event log. In the GitHub project, I’ve added a couple of GUI components to our main window, that display the most recently read pin values on it. It also displays any event messages logged. We leave the relay for later chapters. To summarize, we saw how to practically build a simple application using Raspberry Pi 3 and C#. You read an excerpt from the book, Mastering Internet of Things, written by Peter Waher. This book will help you design and implement scalable IoT solutions with ease.